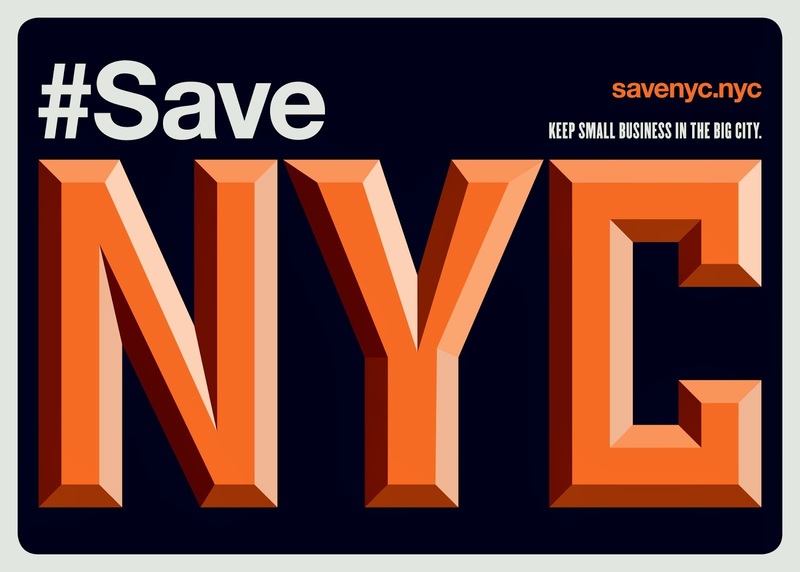 Unfortunately, she does not seem well-informed, and I'm sorry to hear her repeating false-anti-preservation propaganda of the sort peddled by REBNY. I’m a big fan of the GVSHP, but, in this case, I feel unsure how to proceed. 7 buildings is far from enough protection for the area. On the other hand, STRAND BOOKS has a point: Not sure howto go about helping both causes. I think you are wrong about landmarking that building. All businesses fuss about it, but there is no data to suggest that landmarking threatens existing businesses who are occupying the retail space. My feeling is that the Strand management has swallowed REBNY Kool-Aid about the so-called "dangers of landmarking. 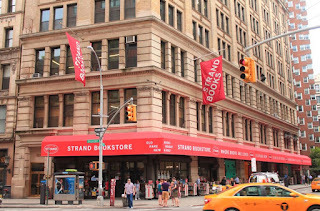 I love the Strand and shop their often, but cannot think of any evidence-based reason to think they would be endangered by landmarking the building. How about we just bookmark it? While the Bass family states they have no intentions of selling the Strand building, landmarking it would mean that a developer could NEVER demolish it and build some monstrosity. The area surrounding and including Strand is currently designated as a C6-1 building zone. "C6 districts permit a wide range of high-bulk commercial uses requiring a central ­location. C6-1, C6-2 and most C6-3 districts, typically mapped in areas outside central business cores, such as the Lower East Side and Chelsea, have a commercial floor area ratio (FAR) of 6.0"
The Strand Building's lot area id 10057 feet and has a gross floor area of 132,000 feet. What this means is that, by acquiring adjoing lots/buildings and doing a zoning lot merger, a developer could potentially build a huge, lucrative building on the new merged lot especially if the zoning was modified for mixed commercial / residential use. 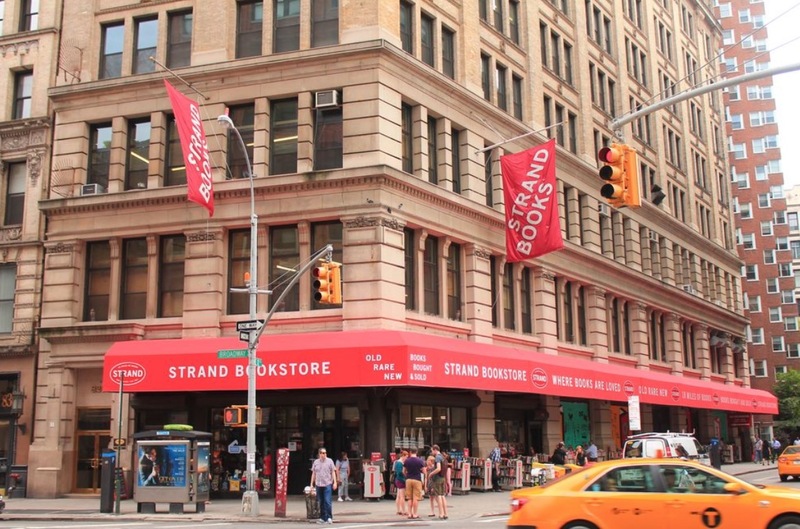 If landmarked, the Strand Building will have limited value to a developer even if the developer acquires the surrounding lots and buildings. The Bass family, should they one day decide to sell the building in the future, would greatly limit the price realized. Probably getting tens of millions of dollars less than if it was not landmarked. On the surface having your building landmarked sounds like an honor. However, in reality few landlords welcome the landmarking of their building and here's why. Once landmarked their building will need to go through a review process dictated by an independent board whenever modifying or modernizing their facade. Any changes deemed necessary by the owner will require vetting and appproval from an independent board that has the power to delay, deny restrict or approve the alteration. Now the decision making power is outside the landlord's control. The Bass family is obviously concerned and which landlord in their right mind wouldn't be. At heart I am a preservationists and see preservation generally as a good and necessary balance to over development but to use one criteria to blanket all situations is flawed thinking. 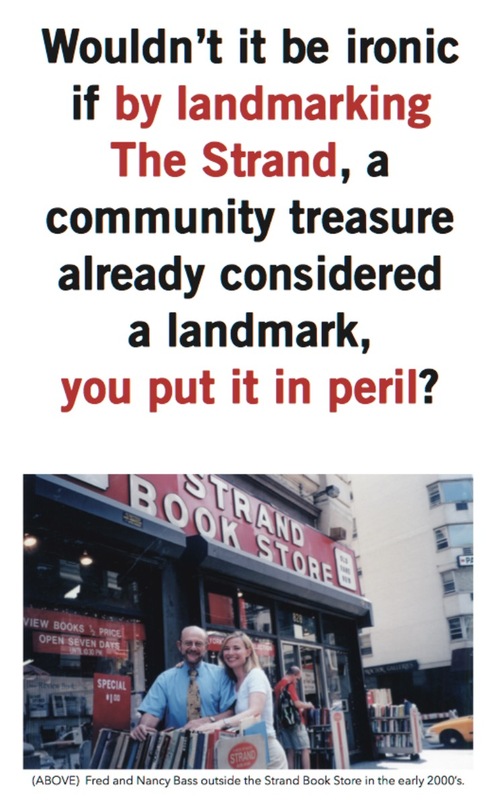 The Strand building will not be demolished with or without landmark status so what is really being accomplished by landmarking this asset. Note: any restriction to a building can affect it's value. I am someone who lives in a landmarked building. I can tell you that spaces in Landmarked buildings, and the buildings themselves, can't be changed without a lot of approvals, all of which take time and cost money. Any alterations that happen both inside or to the outside the building become the domain of the Landmarks commission. Permission is necessary for any changes, and architects and other specialists (contractors) must be hired if one wishes to make any changes to the existing structure, usage, or cosmetic look of the landmarked building/space. The owner is correct when she says it will cost the Strand time and money. While landmarking is a good thing, it does come with some burdens. Wow, I'm so disappointed, even a bit heartbroken, to hear this nonsense coming from the Strand. My entire neighborhood is landmarked, and it hasn't prevented any business from doing maintenance on their building, or, after receiving permission, making cosmetic changes. Now, if they want to sell the structure itself to be torn down, that's something else entirely. As others have said, REBNY—Real Estate Board of New York—has never seen a Landmarked structure or building that they thought should be preserved. I definitely worked here backk in the 90s. Can't we just destroy the "big tech hubs"? They are ruining the country.